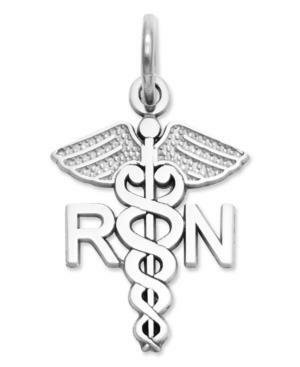 Honor your favorite nurse with this symbolic charm. Crafted in 14k white gold, charm features a polished design with the letters Rn. Chain not included. Approximate length: 4/5 inch. Approximate width: 1/2 inch.